The MMOPL had proposed raising of tariff due to the cost rise, instead of following the fare agreed upon in the concession agreement. Four months after the city’s first Metro rolled out and a bitter tussle ensued between the Maharashtra government and the Reliance Infrastructure-led Metro operator over the tariff structure, the Ministry of Urban Development (MoUD) at the Centre finalised a fare fixation committee (FFC) under the Metro Act. With the conflict between the state and the Mumbai Metro One Pvt Ltd (MMOPL) under litigation, the Bombay High Court had, last month, set November 30 as the deadline for the Central government to form an FFC. As per the Metro Act, the Metro Rail administrator has to fix the initial fare and the FFC has to look into any revision in tariff. “The MoUD has decided the names of the committee members and sent it for approval. Once the committee gives its approval, we will publish a notification for the FFC to be officially set up,” said a government official, who did not wish to be named. 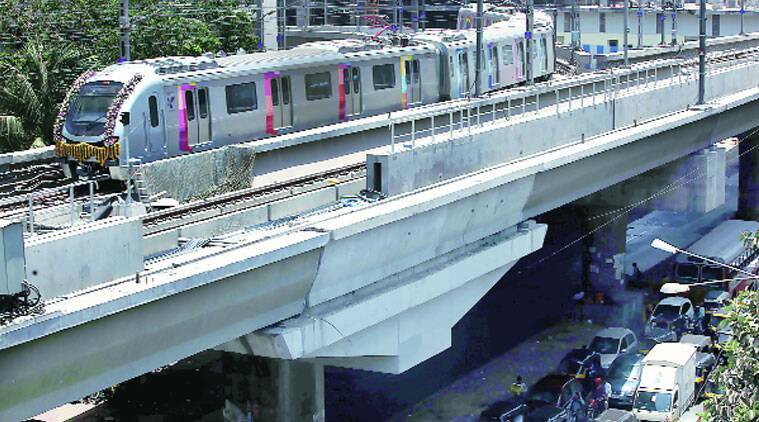 U P S Madan, Metropolitan Commissioner at the Mumbai Metropolitan Region Development Authority (MMRDA), confirmed that the three-member FFC had been finalised. He added that the government had appointed Padmanabhan, a retired judge from the Kerala High Court; T K Vishwanathan, former law secretary in the Union government; and former bureaucrat Subodh Kumar as the committee members. “The only condition is that the order issued says that the FFC is for the revision of fare and not for the fixation of the initial fare, which is what the Metro Act too states. But now, since the matter is under litigation, the question is what is the initial fare? Would the fare that is fixed now be treated as the initial fare or would the fare that was decided at the time of the commercial launch be considered as the initial fare? The court will have to take the final call. The first direction of the court was to set up the FFC, which has now happened,” Madan said. The next hearing is on December 15. The conflict between the MMRDA and MMOPL triggered after the latter claimed a cost escalation of Rs 1,935 crore in the project, over and above the original cost of Rs 2,356 crore. The MMOPL had proposed raising of tariff due to the cost rise, instead of following the fare agreed upon in the concession agreement. The discord escalated further when the project was brought under the Metro Act in October 2013 from the Tramways Act and the operator, being appointed the Metro Rail administrator, got the flexibility to fix the initial tariff. According to the MMRDA, the consortium had agreed on a structure whereby the fares would be in the Rs 9-13 bracket. But the MMOPL notified a fare structure of Rs 10-40 at the time of launch of commercial operations. The Metro operator has been rolling out several promotional fare offers, with the tariff at present being in the Rs 10-20 bracket, and a further concession for smart-card users.